Michael currently serves as Senior Vice President in RTG’s Knoxville office, and has helped RTG earn national recognition with his extensive insight into healthcare and related real estate matters, with experience spanning: strategic planning, facility development and regulatory matters. Committed to working in partnership with each healthcare system or physician group client, Michael commonly leads other advisory and transaction engagements including real estate portfolio optimization studies, ambulatory network expansion initiatives, feasibility / market analyses, and physician ownership and syndication models. Leveraging the depth and breadth of his experience, Michael regularly works with healthcare systems and leading healthcare law firms to provide real estate fair market value opinions for a variety of healthcare facilities including medical office space, ambulatory care centers, acute-care facilities and timeshare arrangements. 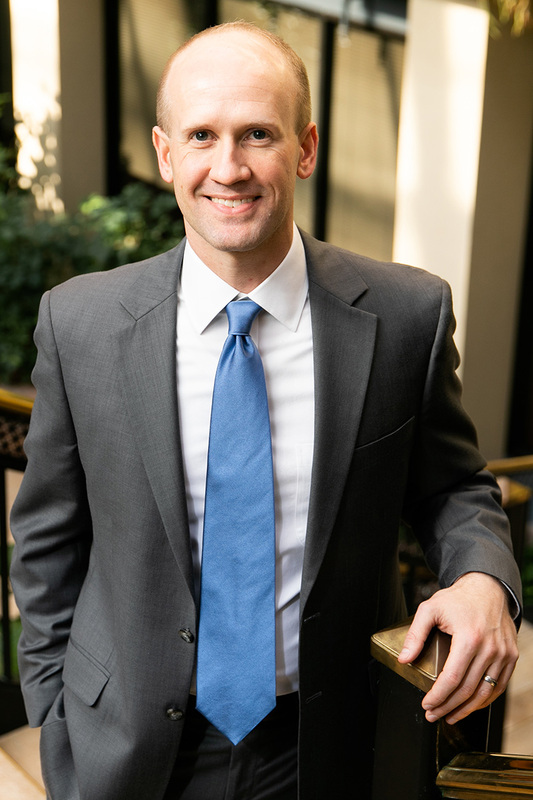 Michael holds both the CRE (Counselor of Real Estate) designation and CCIM (Certified Commercial Investment Member) designation, and previously served as President of the East TN CCIM Chapter. In 2018, Michael was awarded the Deal Of The Year by East TN CCIM for his work with Gastrointestinal Associates (GIA) on the development of a 50,000 SF medical office building and ambulatory surgery center in Knoxville, TN. He is a licensed affiliate broker/salesperson in Tennessee, Georgia, Kansas, and Virginia. Michael currently serves on the Outcome-Based Investment Committee for Health and Basic Needs at the United Way of Greater Knoxville and the Executive Leadership Team for the American Heart Association’s Heart Walk, as well as volunteering with numerous other community organizations.